My office recently moved from the ‘burbs to downtown Milwaukee and as despite not loving the longer commute, I am glad to be back near a plethora of great lunch options. One of my faves is Beans & Barley, a road-paver in Milwaukee’s local food scene, offering tons of vegan and vegetarian options at both their cafe and deli. If you live in Milwaukee and haven’t been there, you should absolutely go. I get cravings for their flavor-packed vegan Curry Chutney Dip so I decided to try to make my own based on the ingredient list Beans so thoughtfully puts on their containers. I think I got the proportions pretty close! It’s great on crackers but even better on some snappy veggies. 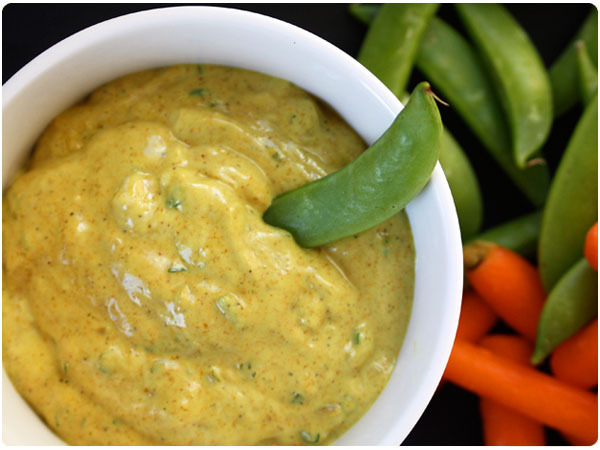 In a small bowl, whisk together veganaise, chutney and lemon juice. Whisk in garlic, ginger and curry until well combined. Chop scallions and parsley and fold in to evenly distribute. Season with a pinch of salt. 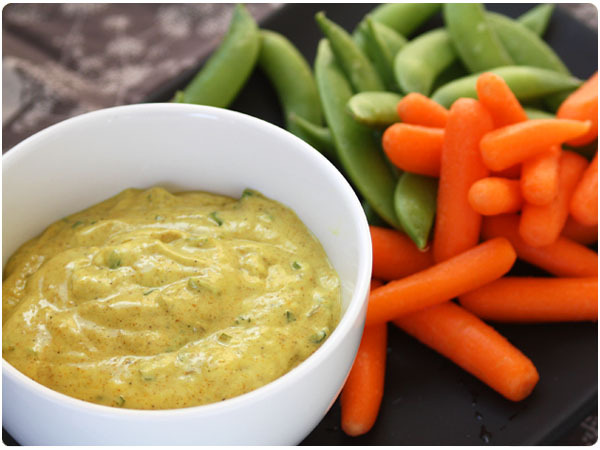 Serve with any variety of crudite. I like carrots, snap peas and cucumbers. 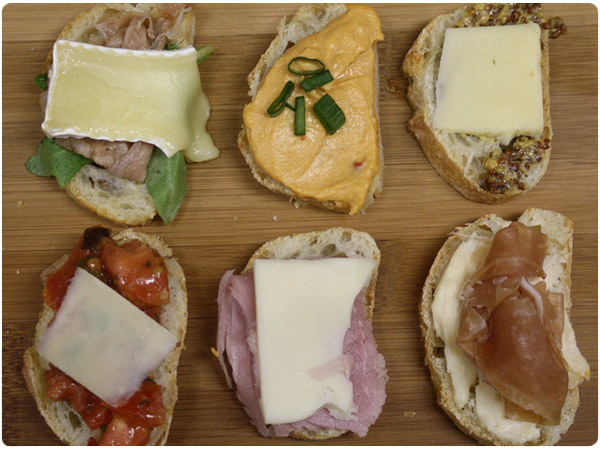 Mix things up with your New Year’s appetizers this year with an “interactive” crostini bar. My sister brought this fun appetizer over for Christmas and the DIY aspect of it made not just tasty but conversation piece as well. Pre-slice the cheese and meats and dish out any spreads or toppings in a set of small bowls so that guests can create their own combinations. Thinly sliced baguettes and a variety of sturdy crackers make the best bases. 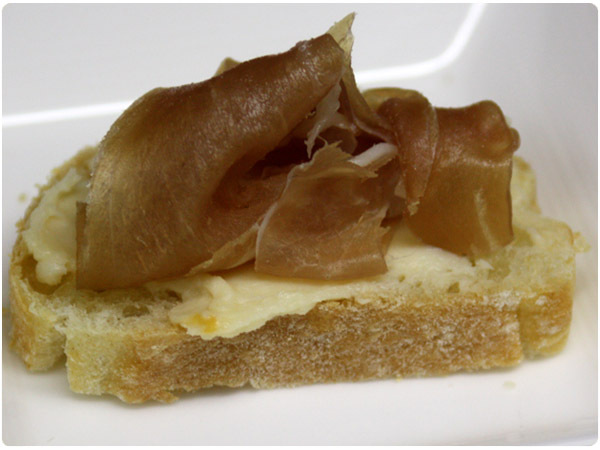 The nice part about the crostini bar is that it requires very little prep time since you can pick up most of the ingredients pre-made from the store. 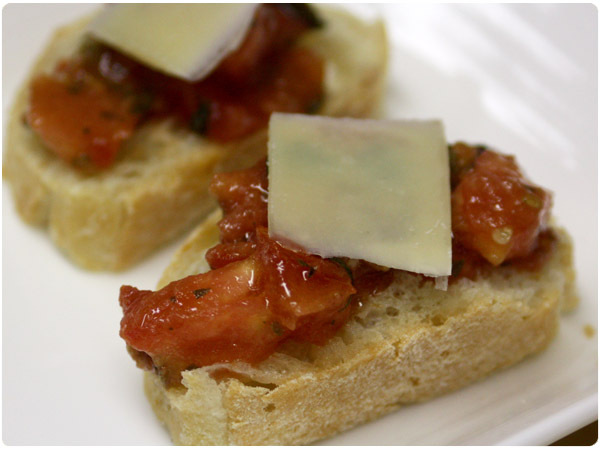 However, if you’re feeling adventurous and have extra time, you could make homemade bruschetta topping or hummus for even fresher flavors.